Elizabeth Debold, Ed.D., bestselling author, developmental psychologist, keynote speaker and consultant, has worked at the forefront of gender and cultural evolution for over three decades. A founding member of the Harvard Project on Women’s Psychology and Girls’ Development directed by Dr. Carol Gilligan. 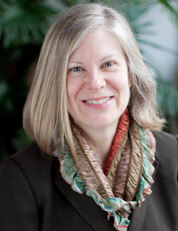 Dr. Debold received her doctorate in human development and psychology in 1996. She served as Academic Director of the Master of Arts program in Conscious Evolution at The Graduate Institute. She has also taught at Harvard University and the New School for Social Research. Dr. Debold has been sought as an expert on girls, women, and the evolution of culture by major media outlets in the U.S. and abroad and has lectured in the U.S., Canada, and Europe. She has consulted to numerous films and television programs, as well as to foundations, nonprofit educational organizations, schools, corporate law firms, and businesses. Her work has appeared in academic publications, popular media, and international anthologies as well as in EnlightenNext magazine. She now is a Senior Fellow at Cohen’s nonprofit, EnlightenNext, where she served from 2002-2011 as Senior Editor of EnlightenNext (formerly What Is Enlightenment?) Magazine. She is a Senior Teacher of Evolutionary Enlightenment and Founder of the new online conversation, Artemis Forum.